FINDLAY, Ohio--(BUSINESS WIRE)--Feb. 8, 2019-- February 12 marks the 210th anniversary of Abraham Lincoln’s birth. America’s sixteenth president, Lincoln is memorialized on Mount Rushmore, Washington D.C.’s Lincoln Memorial and on the U.S. penny. 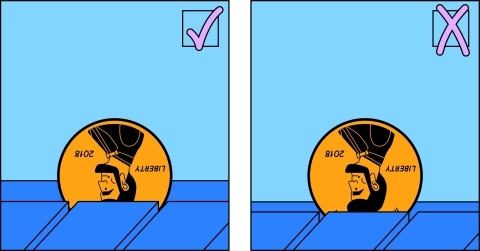 While a penny may be worth one cent in currency, when it comes to tire safety the value of a penny can be much more. Cooper Tire’s Tread Wisely™ program, a tire and vehicle safety campaign for teens and young adults, teaches young drivers how to use a penny to help keep their tires in top shape and stay safer on the road.